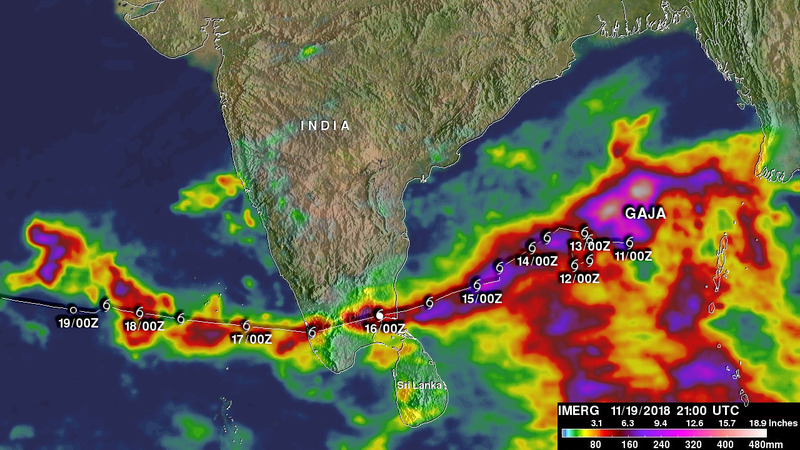 Tropical cyclone Gaja recently caused the deaths of at least 33 people in the southern India state of Tamil Nadu. Gaja's high wind and heavy rains caused landslides and building collapses. 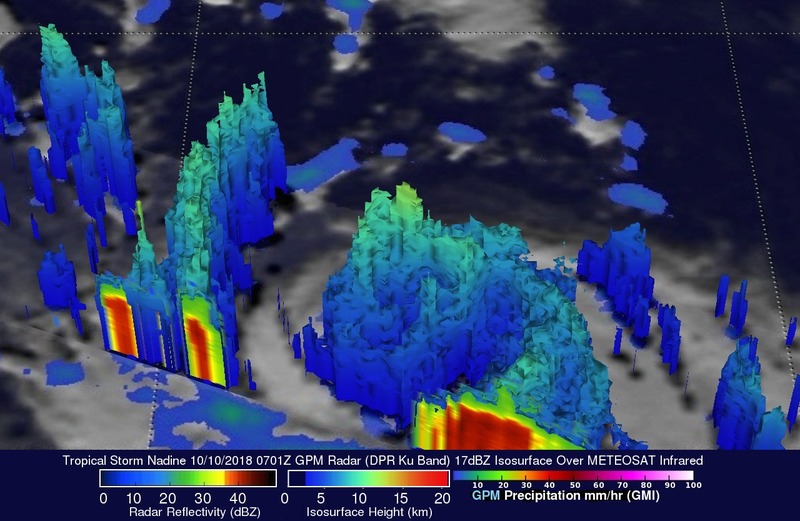 Gaja's maximum sustained winds had reached about 75kts (86 mph) when it hit southern India on Friday November 16, 2018. This meant that Gaja was the equivalent of a category one on the Saffir-Simpson hurricane wind scale. Today another tropical low is also moving over southern India and is expected to produce more heavy rainfall in the same area. Japan has been afflicted by several tropical cyclones and other extreme weather this summer. The Joint Typhoon Warning Center (JTWC) predicts that yet another typhoon called JEBI will be approaching the main islands of Japan early next week. Warm ocean temperatures and low vertical wind shear are providing a favorable environment for JEBI's intensification. The JTWC predicts that the typhoon will have peak sustained winds of 115 kts (132 mph) as it moves over the northern Pacific Ocean toward Japan next week. 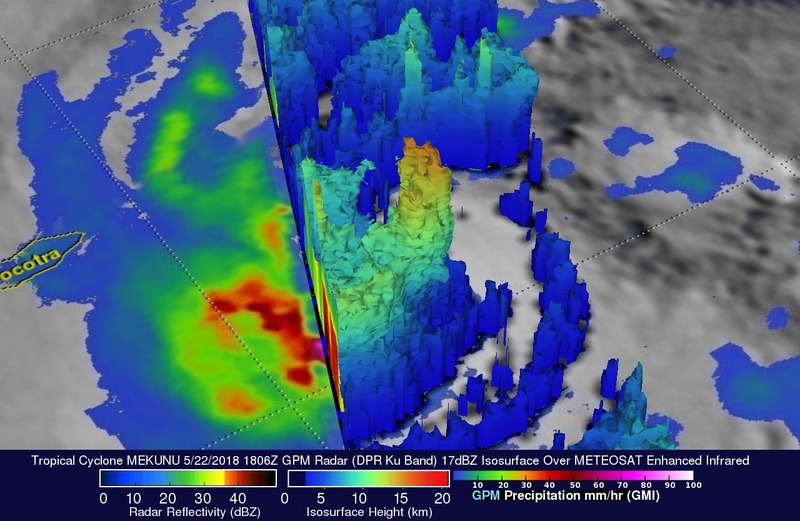 The second tropical cyclone in less than a week has formed in the western Arabian Sea early on May 22, 2018. 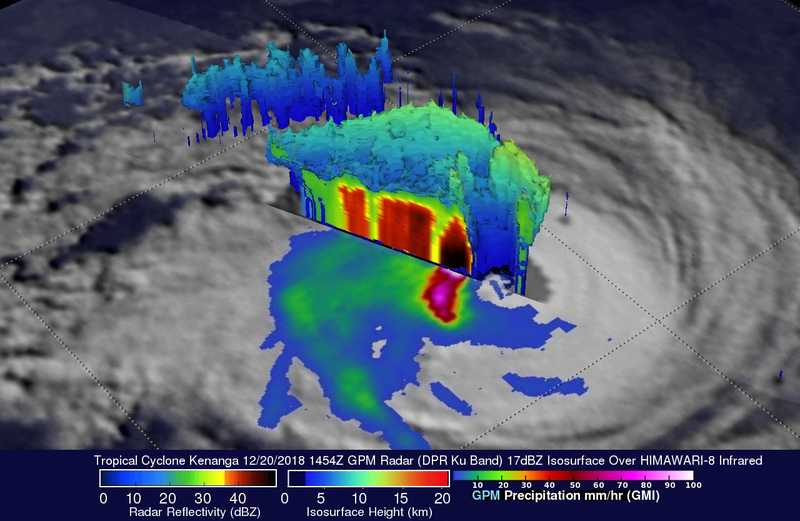 This tropical cyclone called MEKUNU is intensifying as it heads toward Oman. The Joint Typhoon Warning Center (JTWC) predicts that MEKUNU will have winds of about 85 kts (98 mph) when it hits southwestern Oman in about three days. This will make it the equivalent of a category two hurricane on the Saffir-Simpson hurricane wind scale. The Eastern Pacific hurricane season officially starts on May 15, 2018. A low pressure center located well to the southwest of the Baja California Peninsula may develop into this area's first tropical cyclone of 2018. Low vertical wind shear and warm ocean temperatures in the vicinity of the low are providing favorable conditions for this low's development into a tropical cyclone. If it develops it will be called Aletta. 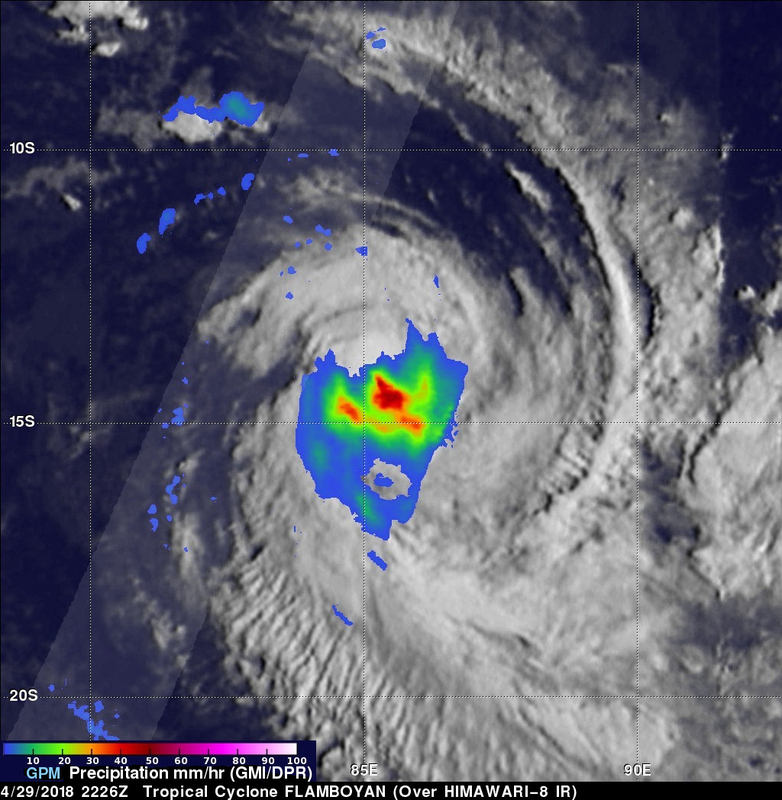 Tropical cyclone FLAMBOYAN formed in the middle of the South Indian Ocean well to the west of Australia on April 28, 2018. 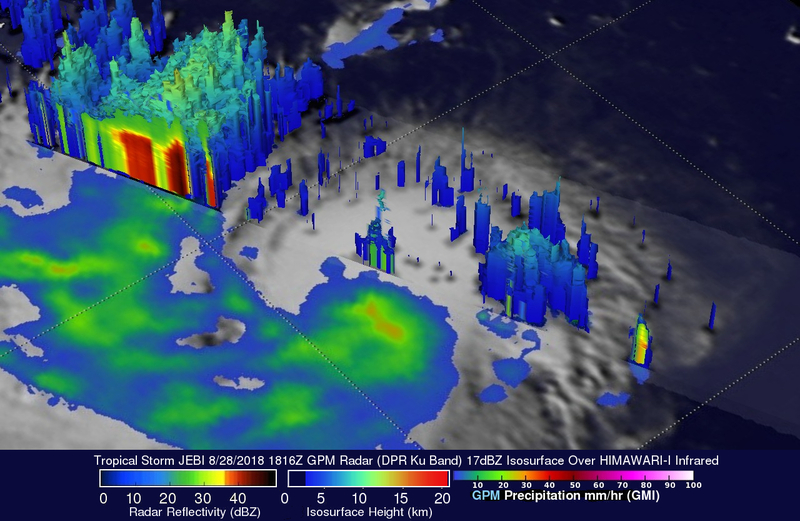 Today FLAMBOYAN's wind speeds have increased to about 70 kts (81 mph) as the tropical cyclone curved toward the south-southwest around the subtropical ridge. The Joint Typhoon Warning center (JTWC) predicts that FLAMBOYAN will start weakening soon as it moves even farther to the south and encounters increasing vertical wind shear and colder ocean temperatures. 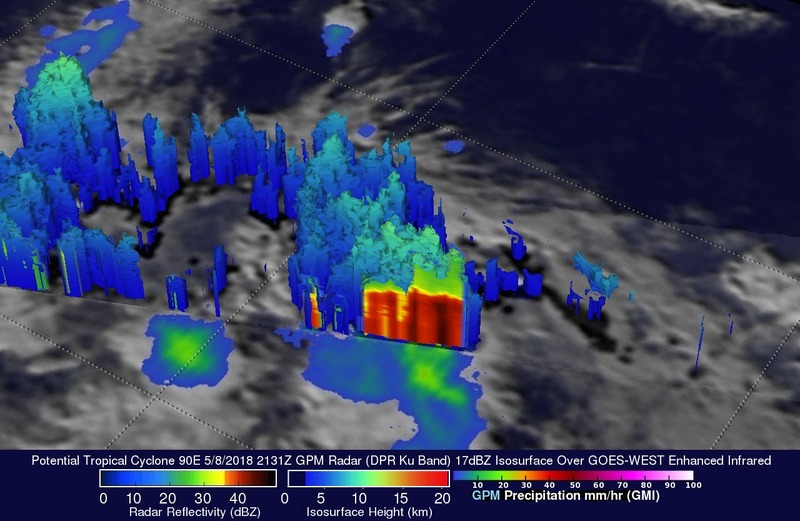 The southwest Indian Ocean cyclone season started on November 15, 2017 and will officially end on April 30, 2018. 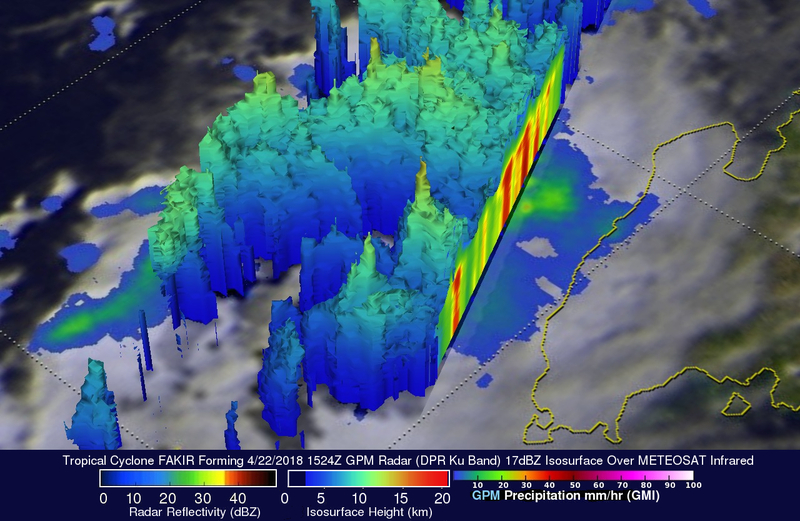 A tropical cyclone labeled FAKIR by Meteo France formed today near northeastern Madagascar. FAKIR is expected to intensify as it moves toward the southeast and could be a significant tropical cyclone tomorrow. 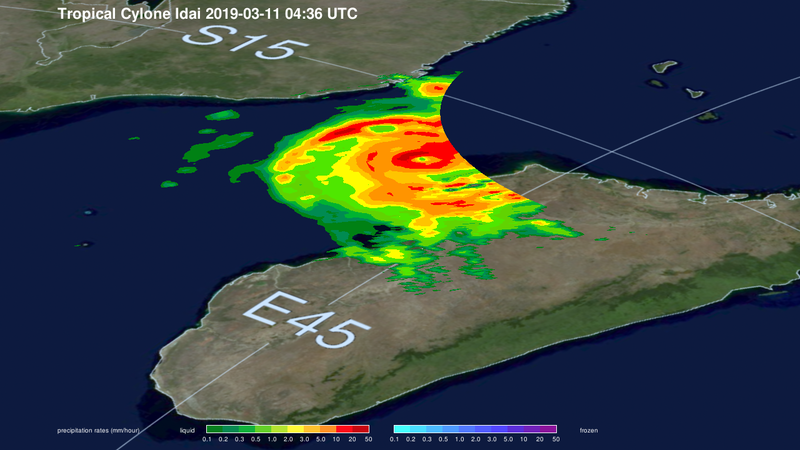 This cyclone season has already seen Madagascar battered and drenched by tropical cyclones Ava, Dumazile, and Eliakim.